Welcome to the universe of Small Animal Ultrasonography ! You are a veterinary student, resident, technician or practitioner ready to discover, undertake or master this great modality for the benefit of the pets you’ve trained so hard to treat. Well, this is it. This is the place to learn, exchange and collaborate so that all of us – together – can make it a better small animal ultrasonography world! This is not only the companion website for the Atlas of Small Animal Ultrasonography, 2nd Edition – let’s call it 2.0 since this version with be evolving through this site 🙂 – but more importantly, a broader eLearning platform so we can all become better sonographers. The password included in your copy of the Atlas will give you access to a full library of videos with animations and annotations to highlight key features of the most common pathologies you’ll encounter in your practice. And by the way, thank you in advance for not sharing this personal password or any other protected content that took us so long to produce. By respecting this intellectual property, you’ll encourage us to continue producing great material for your learning. 🙂 That said, you can share, save or print any of the public posts from our blog, some of which as excerpts from the book, or updated information and tips from the veterinary literature. If you want to receive an email when a new article is posted, you simply need to click on the follow us widget in the right sidebar. You can also follow us on Facebook and please use our Facebook page to comment and share ideas or interesting cases. Twitter and Google+ users can also follow all posts. If you’re looking for a previous article, click on the blog tab to find it. You can also search by selecting a specific keyword or a category. And if you want to discover additional teaching tools for small animal ultrasonography, click on the learn more tab on the top menu. Stay put as this section will likely expand over the course of this year. For technical issues regarding the website, who should I contact? My book’s password does not work in the videos tab. Did you make sure not to include any space at the end of the password when typing it in? Is the course “mastering abdominal ultrasound in dogs and cats” different content from the videos that come with this textbook? I am just starting out with ultrasound, and I’m wondering which would be better to start with- the online course or the book? My clinic already owns a copy of the 1st edition Atlas of small animal ultrasonography. Hi Lisa! Thanks fore your interest :-). The « Mastering… » course is not meant to replace the Atlas and the access to the video library the second edition provides, but is a good start for beginners as it reviews in 3D the sonographic approach to all abdominal structures and their normal anatomy. 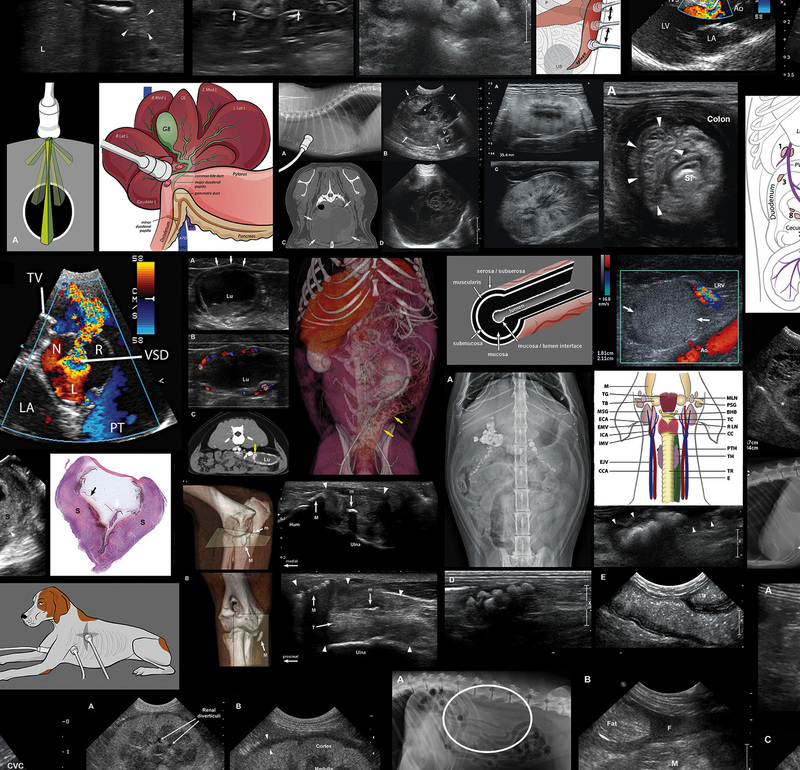 The videos provided in this website (with private access) include some of the anatomy, but the main purpose of the Atlas is to cover in great depth the sonographic features of pathologies. I hope my explanation helps! J’ai acheté le streeming de “Mastering Abdominal Ultrasound in Dogs and cats” mais je n’ai reçu aucune facture pour pouvoir le donner à mon service comptable. Pourriez vous me faire parvenir cette facture. Merci beaucoup, votre site est vraiment très utile et agréable d’utilisation. Bonjour Steven et merci des bons mots! Malheureusement, ce n’est pas moi qui vend directement le cours en ligne, mais le site Vimeo. Je sais toutefois que tu peux obtenir une facture de leur site directement ou en les contactant via le support. Désolé si je ne peux le faire pour toi… Bonne fin de journée !